The Fusion Flea’s engine will illuminate to simulate the glow of Cherenkov radiation, which normally occurs in water-cooled nuclear reactors when charged particles pass through a dielectric medium at a speed greater than the phase velocity of light in that medium. Don’t worry, in the interest of safety, this effect has been replicated in your Fusion Flea using a harmless blue light emitting diode, buried inside the engine. The Fusion Flea is supplied with three LR44 button cell batteries installed. Remove the battery isolation tab before first use. 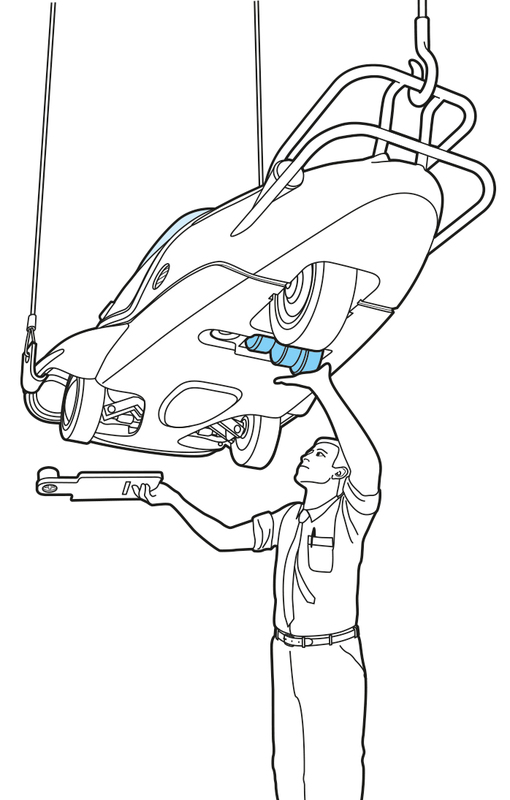 To replace the batteries, remove the battery door on the underside of the vehicle by loosening the battery door locking screw, remove the spent batteries and install three new LR44 batteries, ensuring that the polarity is correct and replace the battery door. Make certain that the door is tightly secured with the locking screw. Discard the used batteries in a safe manner. The engine will glow when the engine hood is opened. For optimum battery life do not leave the engine door open permanently. The glow-in-the-dark engine reactor core may be removed. Take care not to lose this small part. Display your Fusion Flea with pride in a suitably prominent position on a mantelshelf with your most prized possessions and collectibles. 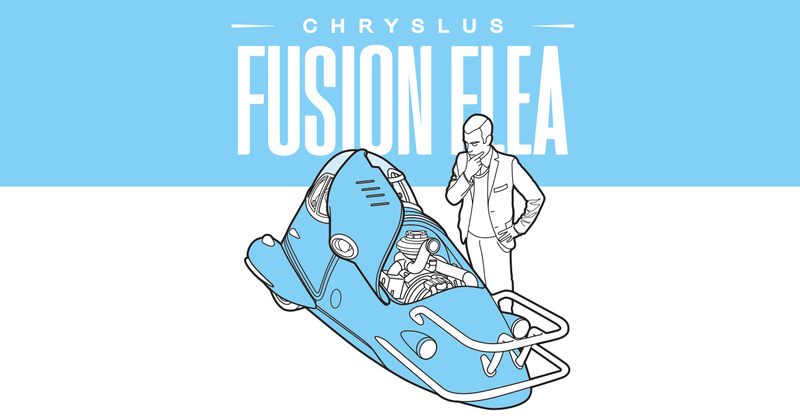 The Fusion Flea is not a toy, it is a prop replica, treat it with care and keep out of reach of children. Do not immerse in water. Clean with a slightly damp cloth and occasionally polish it as necessary to maintain its lustrous, reflective finish. WARNING – KEEP BUTTON CELL BATTERIES OUT OF REACH OF CHILDREN Swallowing may lead to serious injury in as little as 2 hours or even death, due to chemical burns and potential perforation of the oesophagus. If you suspect your child has swallowed or inserted a button battery immediately call the emergency services. Examine the underside of the Fusion Flea to make sure the battery compartment is correctly secured, and that the screw is fully tightened. Do not use if the compartment is not secure. Dispose of used button batteries immediately and safely. Flat batteries can still be dangerous. DO NOT discard batteries in fire. Do not mix old and new batteries. Remove batteries from Fusion Flea when storing or not in use for extended periods. Tell others about the risk associated with button batteries and how to keep their children safe.